Draw Something creator OMGPOP will release a new Facebook game next week called The Street, Business Insider reports today. OMGPOP is working with hiphop group the Wu-Tang Clan to develop the game, which will star group members Raekwon, GZA, Ghostface Killah and others. Business Insider says it looks like "FarmVille for hustlers". 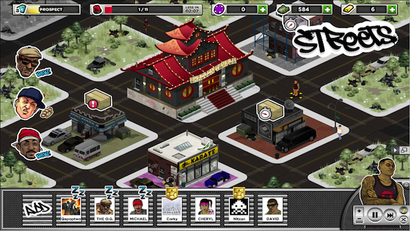 OMGPOP CEO Dan Porter calls it "the realist game ever on Facebook". According to Business Insider, the game will also be out on mobile platforms. Rumours suggest that Facebook titan Zynga is currently in deals to purchase OMGPOP. This now makes more sense. If OMGPOP is indeed duplicating FarmVille, they'll fit right in.